SeboCalm’s story begins back in the nineties in a pharmacy in Rishon LeZion with pharmacists Amnon Bechar and Herman Weiss, Hebrew University alumni. They owned the pharmacy and worked behind the counter serving thousands of customers seeking quality products to both treat and beautify their skin. The professional knowledge they acquired over the years and their understanding of the needs of Israeli consumers led them to develop products formulated for people with sensitive, irritated and red skin. They established SeboCalm. They took on the challenge of being Israel’s first developers of dermocosmetic products that fill the gap between cosmetics and medication, meeting both universal skincare needs as well as the needs of people with sensitive skin. Within just a few years, SeboCalm became synonymous with treatment for sensitive skin, and was enthusiastically endorsed by leading Israeli dermatologists. 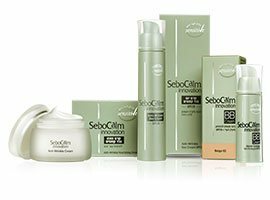 SeboCalm now offers a wide range of dermocosmetics for a variety of skin conditions. The products are developed and manufactured in Israel (blue and white) under stringent laboratory conditions with top-level scientific knowledge and research. SeboCalm products are manufactured under the highest standards and strict quality control, closely adhering to international regulations. 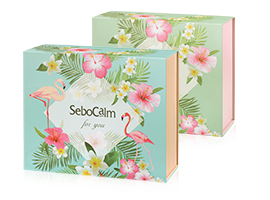 All SeboCalm products are hypoallergenic and have been dermatologically tested for sensitive skin. 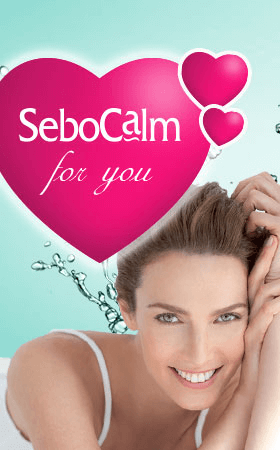 SeboCalm White – A product line combining effective treatment of symptoms and skin sensitivity with pampering the skin. The products contain natural active ingredients that enhance the skin and leave it looking healthy and vibrant and feeling soft to the touch. SeboCalm Innovation – Anti-aging for sensitive skin. The products’ unique composition contains vitamins, medicinal herbs and amino acids. The product line is specially formulated for the Israeli climate offering both instant and cumulative results. SeboCalm Baby – A product line specially formulated to protect and enhance baby’s delicate, sensitive skin from day one. The products offer lasting softness thanks to complexes of pure oils and plant-based ingredients that protect the skin from changes in weather and environmental pollutants. 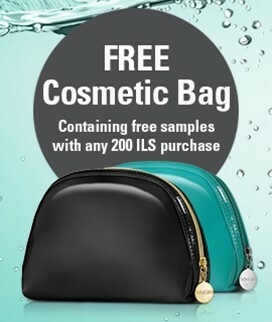 Hypoallergenic, paraben-free and dermatologically tested for sensitive skin. 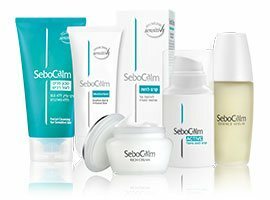 SeboCalm Young – An innovative product line for instant, effective treatment of pimple-prone skin. The products are based on advanced scientific knowledge and contain manuka oil known for its antiseptic properties. A combination of vitamins, minerals and medicinal herbs treat and nourish oily and combination skin and leave it looking healthy, smooth, and oil and shine free.